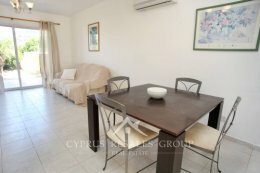 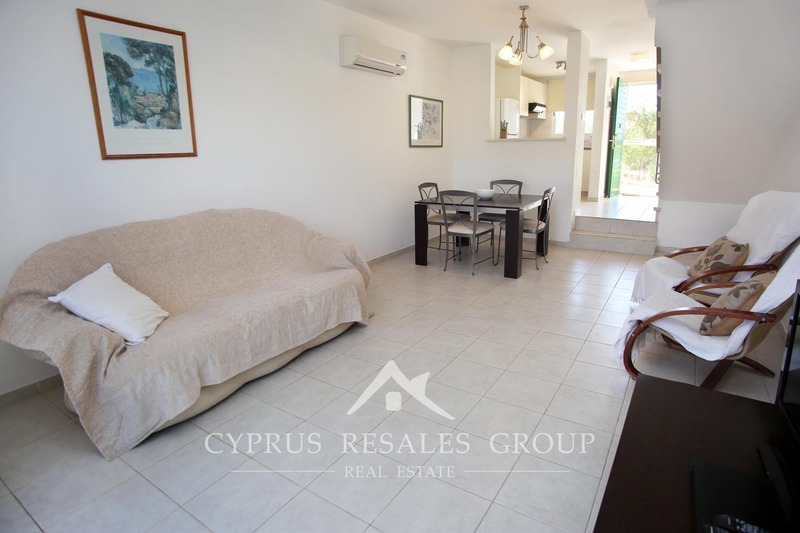 Property in Peyia for Sale | 2 Bedroom townhouse in Pafilia Eva II for sale. 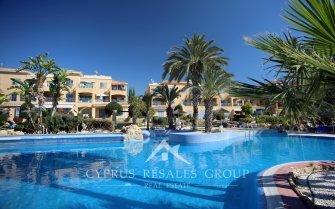 Beautiful resort complex Eva II by Pafilia Developers, is located in the central part of a popular coastal village of Peyia. 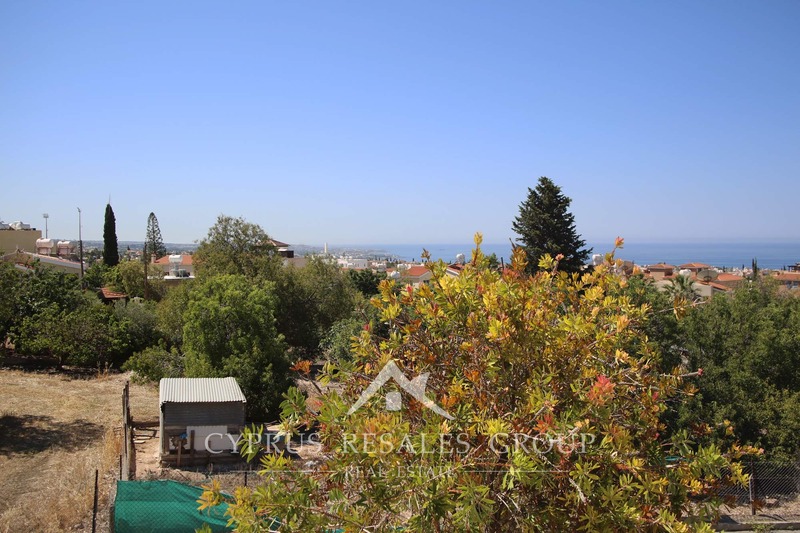 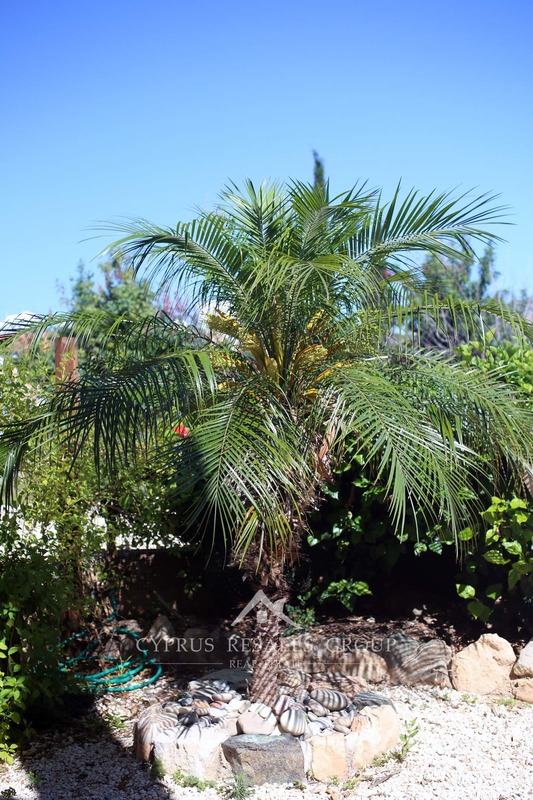 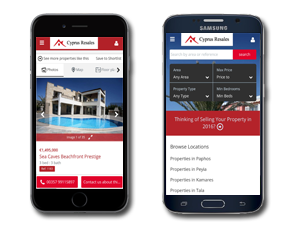 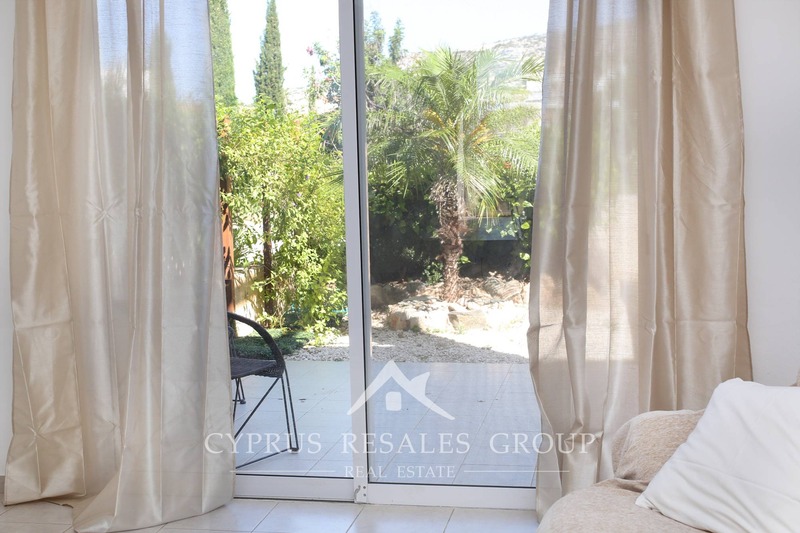 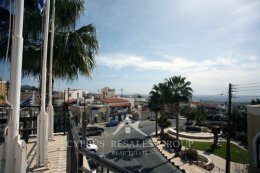 Built in 2005, this excellent resale property comes with all the standard features you would expect from Cyprus Resales, the leading estate agent in Paphos. 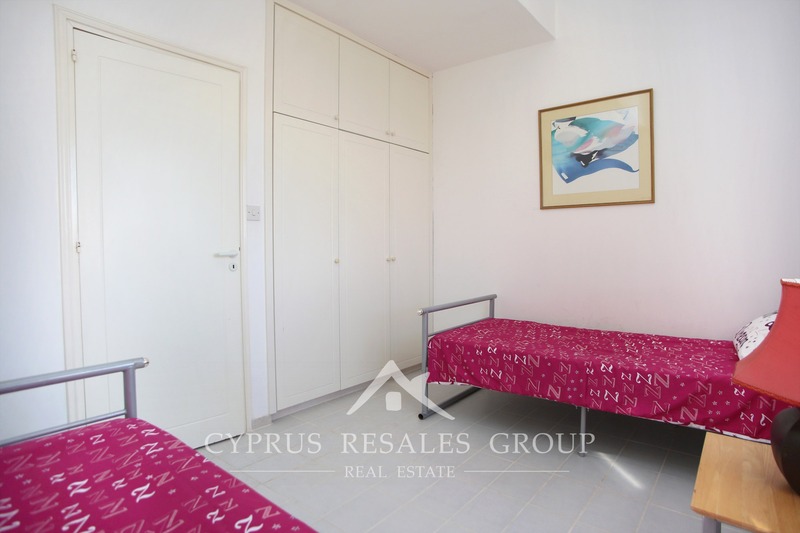 Located in the very heart of Peyia, Eva II is only 50 meters from Michael Kyprianou Avenue the main artery of Peyia town with numerous shops and restaurants to satisfy your daily needs. 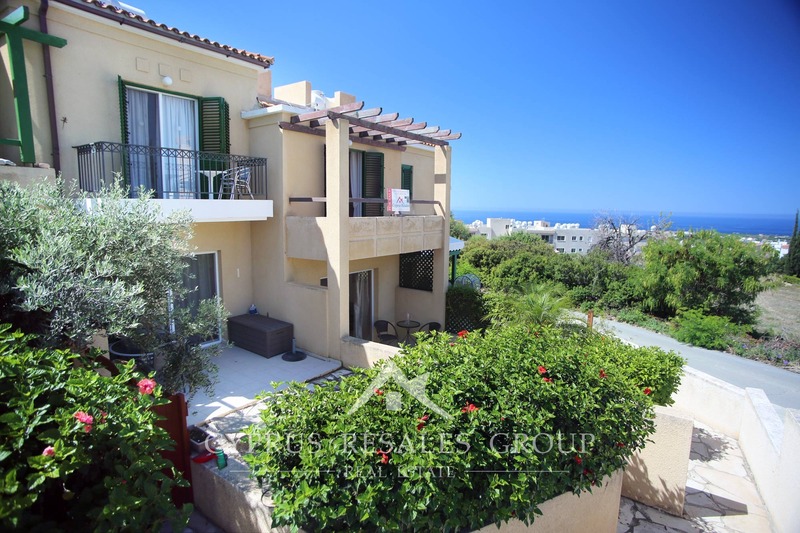 In addition to this, wonderful multitude of amenities, the famous Coral Bay beach (with the Blue Flag award) is only a short drive away. 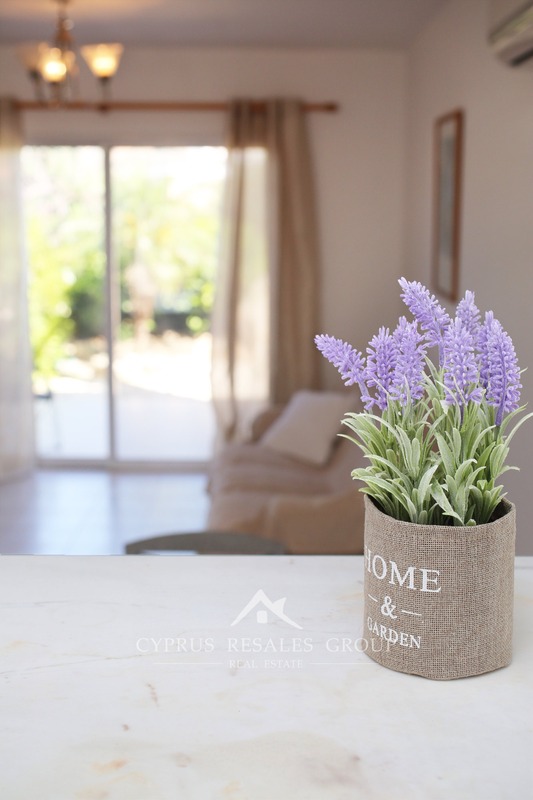 The whole of Eva II follows Pafilia’s tried and tested theme of well-balanced earthy colors, beautiful gardens and a feature pool. 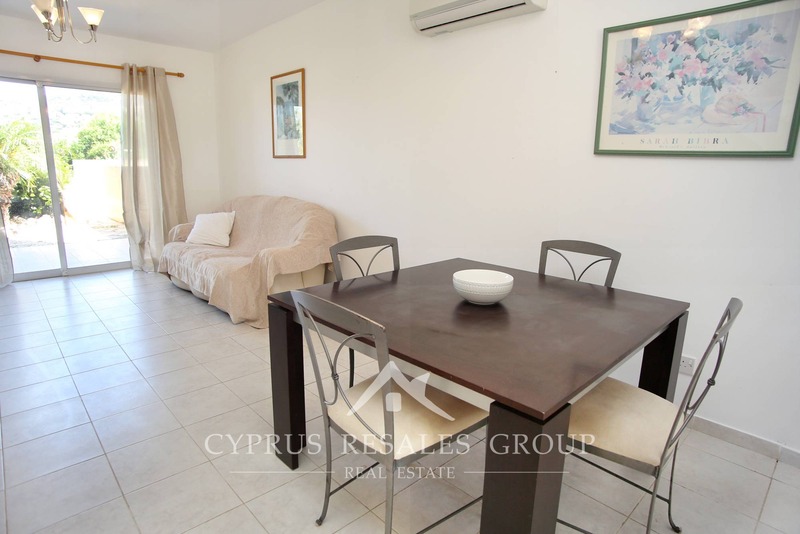 Eva II benefits a unique combination of central location, yet a quiet position in a peaceful cul-de-sac. 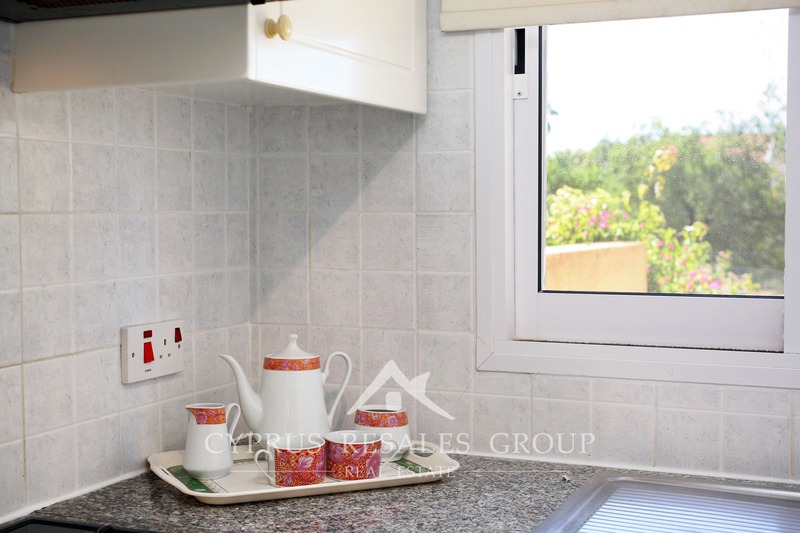 This 2 bedroom townhouse offers great living space and of course, comes with FULL TITLE DEEDS. 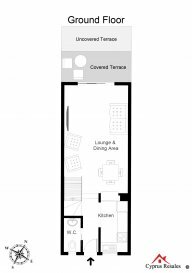 The split-level ground floor layout flows to the private hedged garden. 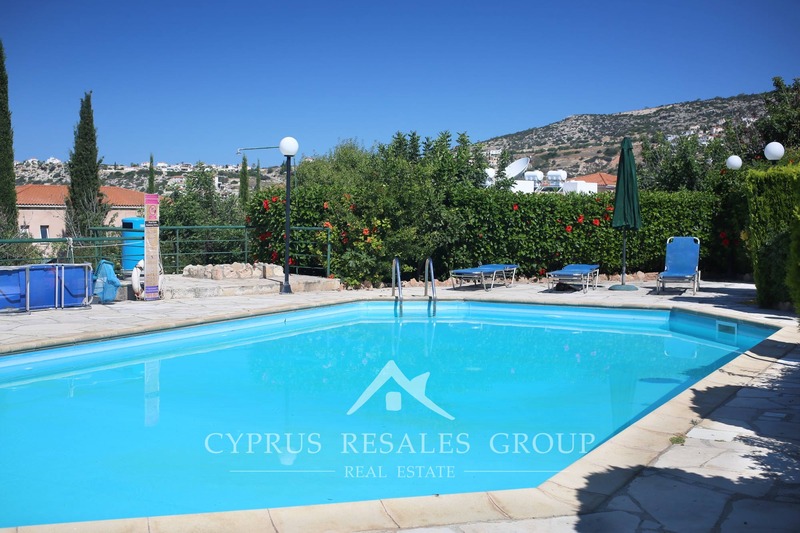 From here you step out straight onto the swimming pool area. 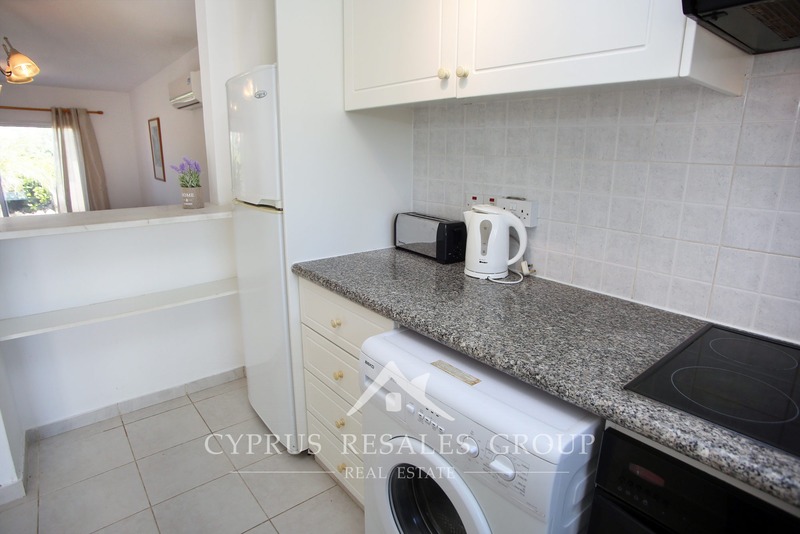 A galley kitchen and downstairs WC are located on the other side of the ground floor of the property. 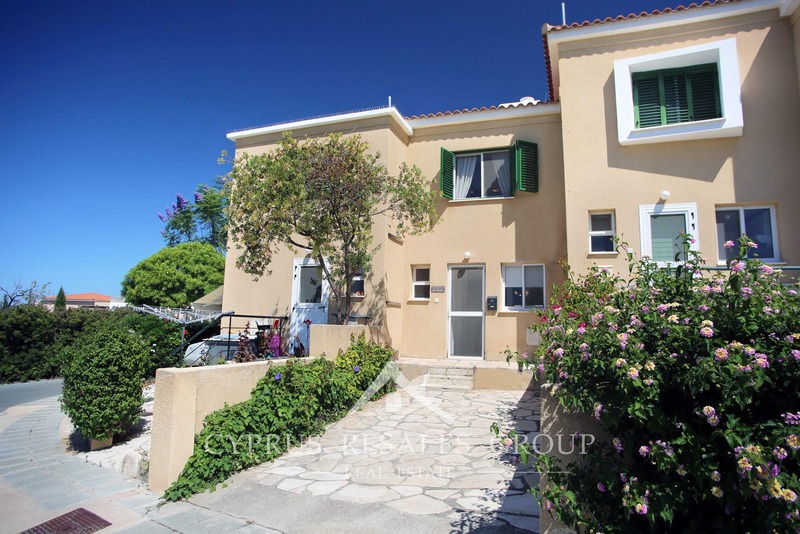 A marble staircase leads to the first floor with two double bedrooms and a full-size family bathroom in the middle. 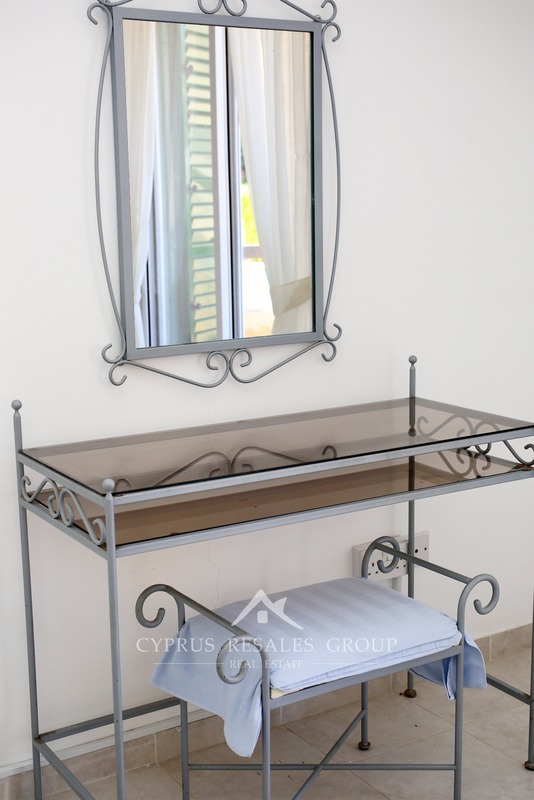 Both bedrooms come with ample built-in wardrobe space. 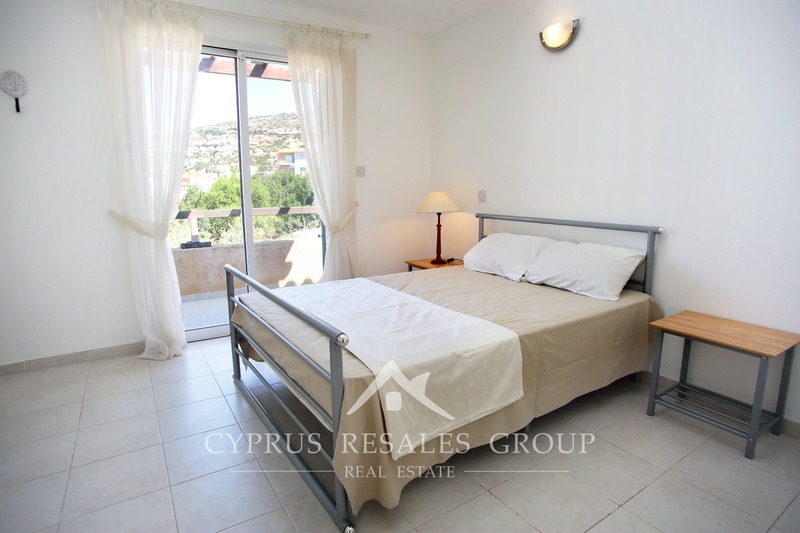 Master bedroom benefits a private balcony and enjoys those famous Mediterranean sea views. 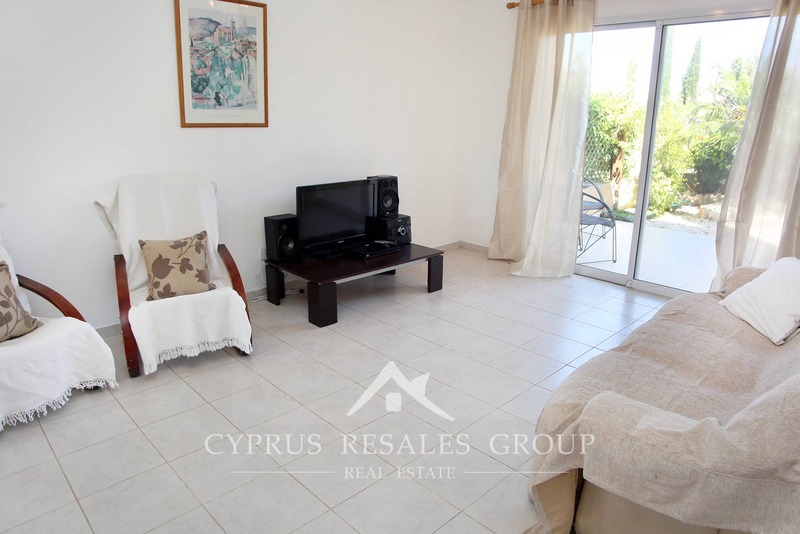 The second bedroom also enjoys lovely coastal views all the way to Paphos lighthouse. 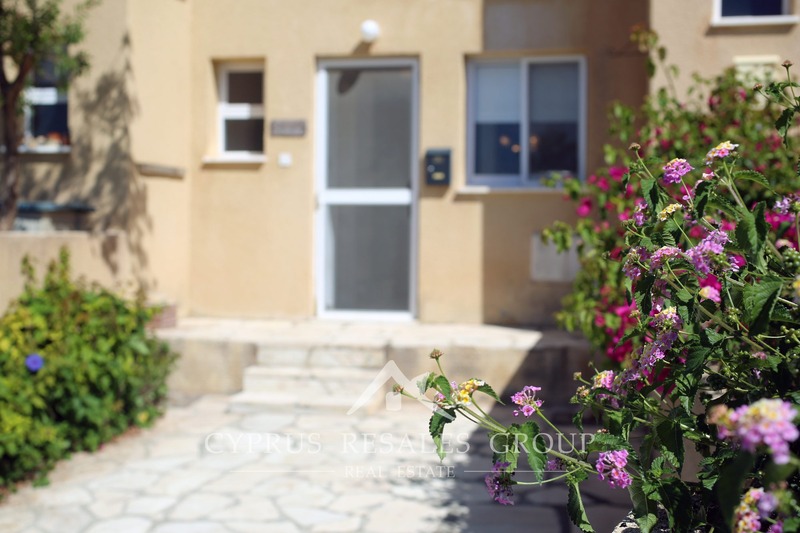 Private car parking is right outside your front door. 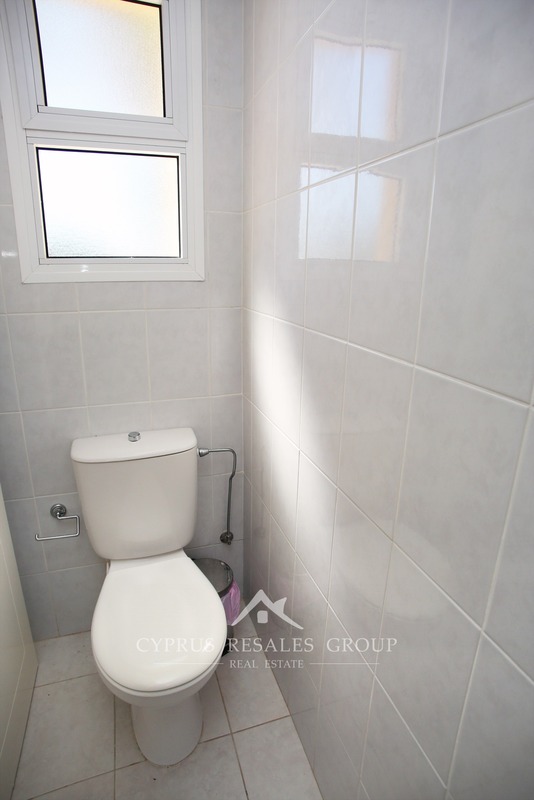 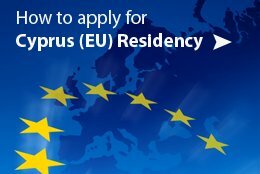 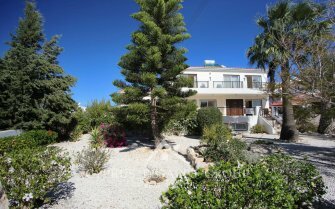 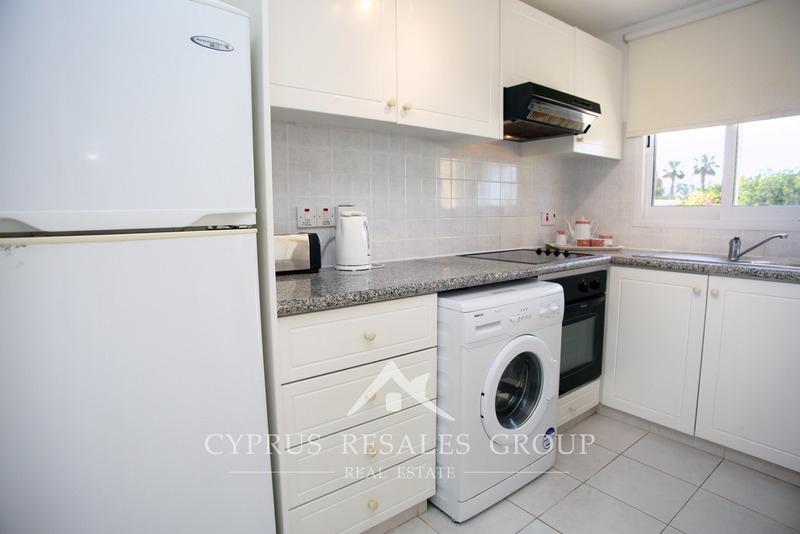 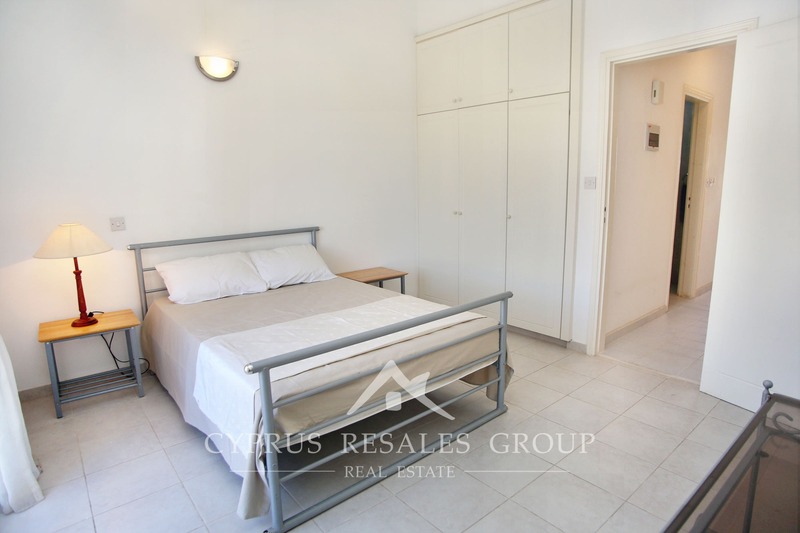 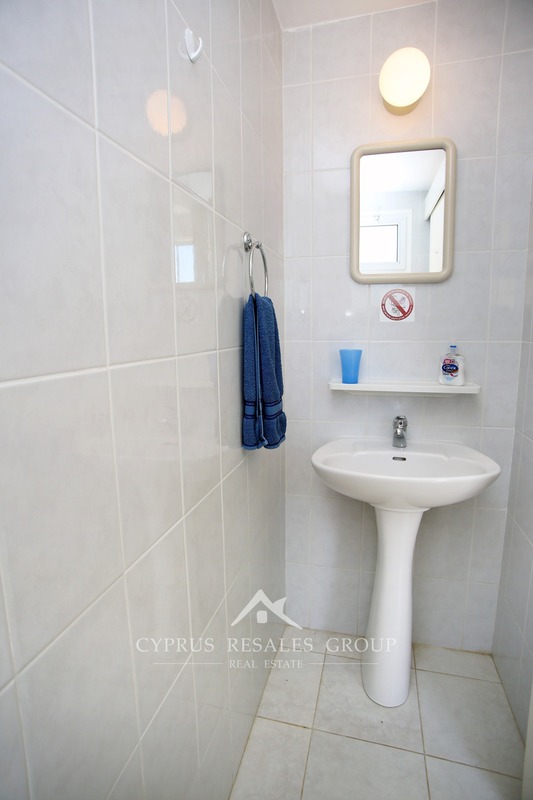 This townhouse is attractively priced from the start, representing a superb investment in Cyprus property. 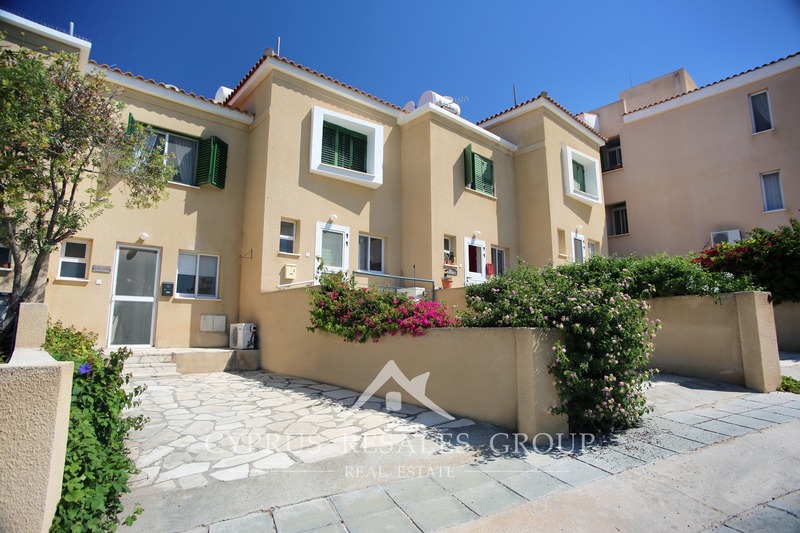 Don’t miss out on this well-located townhouse in Eva II at a great price.